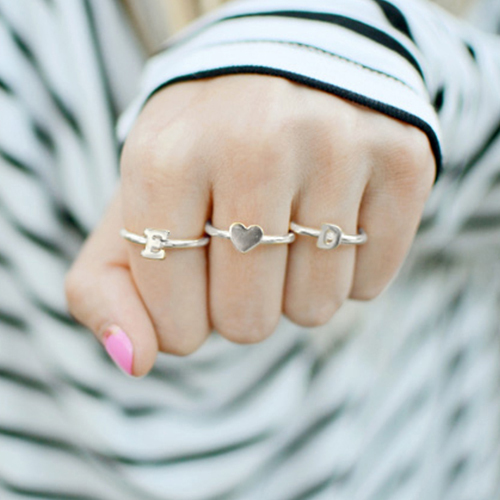 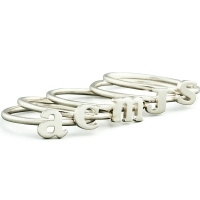 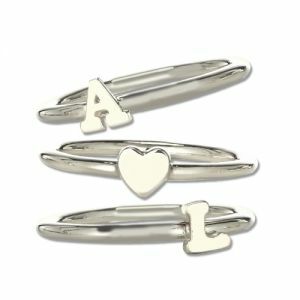 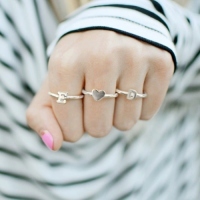 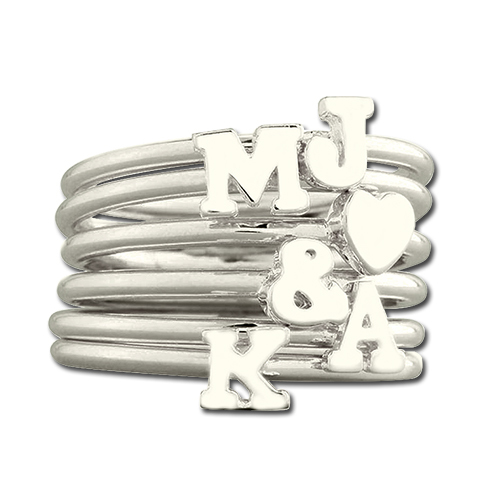 Valentines Gift - Stackable Midi Initial Ring Sterling Silver - Embrace the fashion trend stacked rings! You can mix and match these sterling silver,or gold plated rings to create a personalized look. 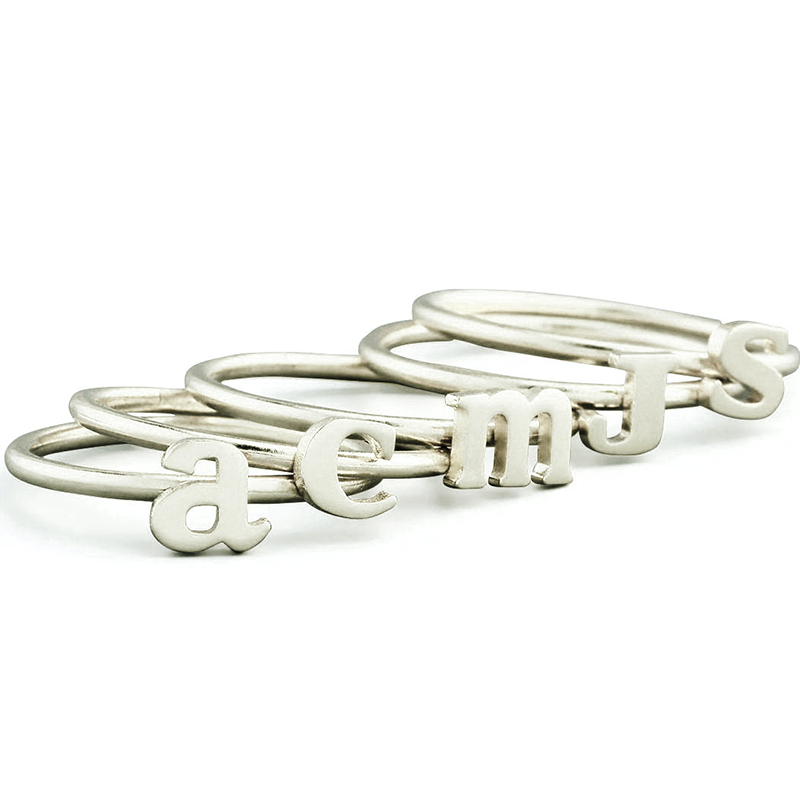 You can choose from one to three rings and we will hand-engrave them with the initials of your choice. 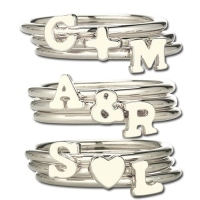 They make fantastic friendship rings, a sweet present from a boyfriend to his other half, to give to a friend, or simply an elegant way to carry your children's initials with you at all time. 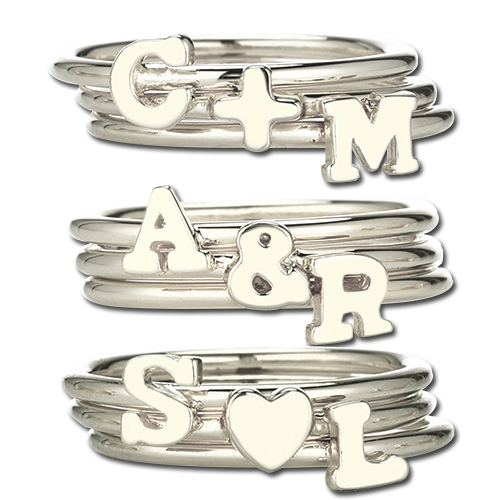 A perfect personalized gift for your girlfriend, gift for Mom, Valentines Day or any occasion!